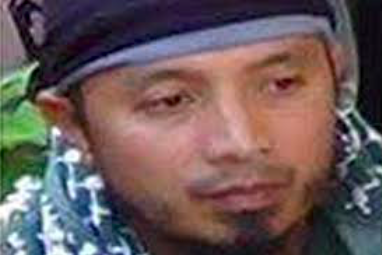 Little is known about Abu Dar, Islamic State’s new leader, or emir, in Southeast Asia. An air strike in Lanao del Sur that displaced thousands of people was aimed at Abu Dar, Islamic State’s new ‘emir’ in Southeast Asia. Colonel Romeo Brawner, deputy commander of Joint Task Group Ranao, said the military was acting on intelligence that the terror leader and a number of followers were hiding out near Tubaran town when it launched the air strike yesterday. Abu Dar first rose to prominence during the siege of Marawi last year, which was led by the Maute Group. The five-month battle led to the deaths of the Maute brothers and the Islamic State’s previous Southeast Asian representative – or ’emir’ – Isnilon Hapilon. Zia Alonto Adiong, a regional assemblyman and spokesman of the Lanao del Sur Crisis Management Committee, said no government or civilian casualties had been reported. “We learned a hard lesson from the Marawi experience… We should not underestimate the capability or the potential threat this group may pose against the safety of our civilians, especially even outside of Lanao Del Sur,” he said. Abu Dar’s presence in the Tubaran area, where he has many relatives, was confirmed last month when his men killed a village leader who tried to stop them entering the town. The village leader’s relatives then notified the military about Abu Dar’s presence. Abu Dar is the only locally prominent islamist leader known to have survived last year’s siege of Marawi. It is believed he made off with more than 30 million pesos in looted cash, which he is using to lure fresh recruits. Adiong said an effective counter-radicalisation programme was needed to prevent the creation of a new generation of militants. Meanwhile, an Abu Sayyaf terrorist was killed in a clash on the island of Sulu on Saturday.